Whether you’re a serious camper or just enjoy watching the kids play ball, this product will guarantee you stay warm and comfortable year-round. It’s that time of year again when all of us are busting to get outside and have fun. Maybe that means propping a couple of fishing rods by the lake, sitting around a campfire, or lining the soccer field to watch the kids. Whatever your activity, it’s still not shorts and flip-flops weather. Once the sun goes down or the clouds roll in, the chill is back. We recently discovered a product that not only takes the bite out of spring, but lets us be downright cozy. It’s called Chaheati, and if you’re looking to make your outdoor experience more comfortable and enjoyable all year long, you need to check it out. Folding chairs are must-haves, whether you’re sitting on your deck or out in the wilds, but as we all know, that thin nylon material does nothing to keep your backside warm once the temperature drops. The Chaheati All-Season Heated Chair is not unlike most outdoor chairs in that it is collapsible and packs neatly in its own carry bag. Made of 600-denier nylon, it is significantly more rugged than the camp chairs we’ve purchased at the big box stores over the years, and it comes with cupholders in both armrests. Ergonomically, the Chaheati All-Season Heated Chair is the most comfortable camp chair we’ve tested to date. The seat portion is wide and relatively flat, so you actually sit ON it instead of IN it. This design, unlike most folding chairs on the market today, doesn’t cut into the back of your thighs when you’re sitting for long periods of time. In addition, the armrests angle outward, providing more room to get comfortable and stay that way. What’s great about the adjustable heat output is that you can customize the setting for the ambient temperature or the length of time you need the heating element activated. We’ve found that even during moderately cool temperatures, the Low and Medium settings were sufficient to keep the chill away. On really cold nights, we’re usually not sitting outside for more than a couple of hours before hitting the sleeping bag, so the High and Max settings work out well. 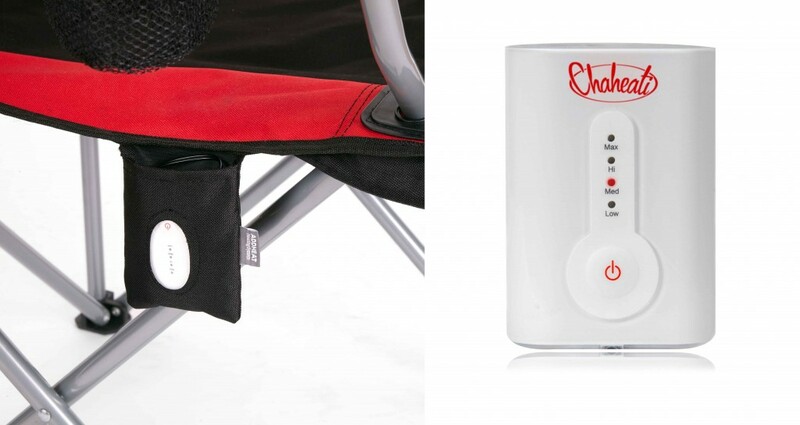 Each Chaheati All-Season Chair comes with an AC/DC power adapter for recharging the battery either at home, or via generator when camping. You can also purchase an optional 12-volt car charger when you’re on the move or don’t have access to a 120-volt source. 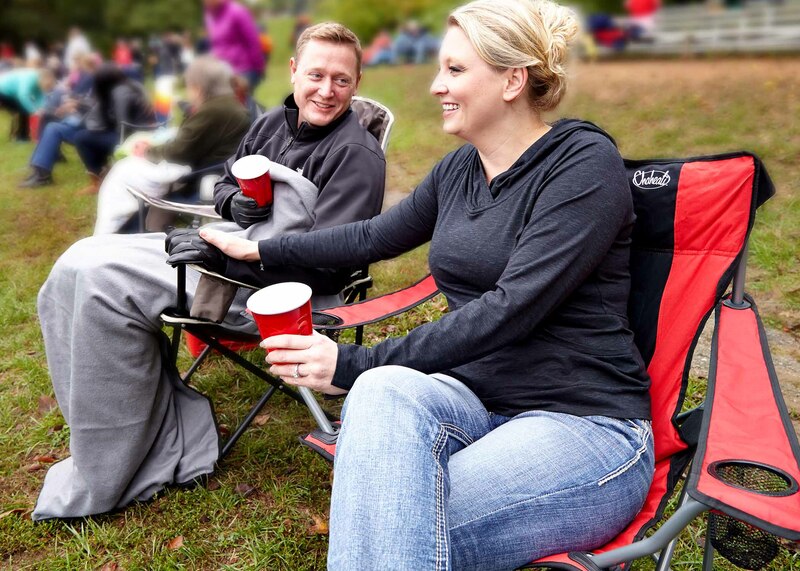 So what if you already have a folding chair (or chairs) that you like, but still want to stay warm when you’re at camp or on the sidelines? This is where the Chaheati Heated Add-On shines. 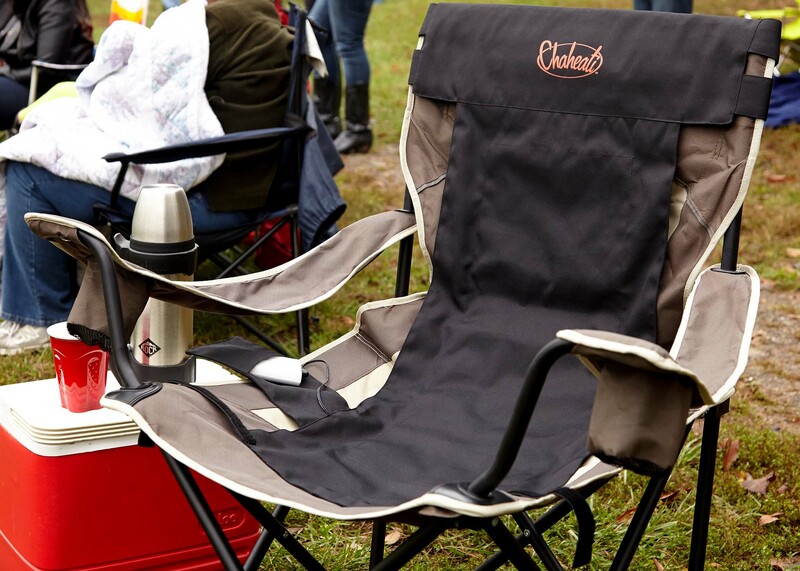 The Heated Add-On utilizes the same woven heating technology found in the Chaheati All-Season Heated Chair, but you can install and use it on any folding chair. Hook and loop straps allow the Heated Add-On to fit securely on camp chairs, and you can even use it on your outside patio or deck chairs. What’s more, you can bring the Heated Add-On inside. Just place it on your couch or favorite recliner to ease sore muscles or to keep warm without turning up the heat. We used the Heated Add-On both in the hunting blind and in the house last fall and winter. It really made a difference in our ability to stay comfortable. 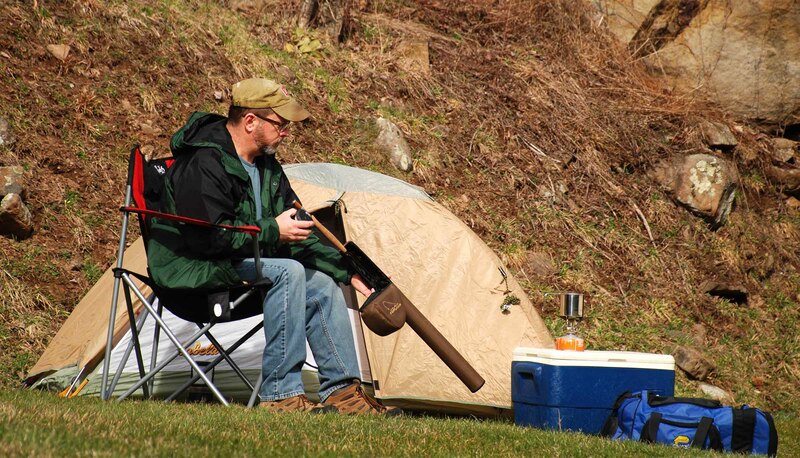 You can find the Chaheati Heated Add-On at select outdoor retailers nationwide. 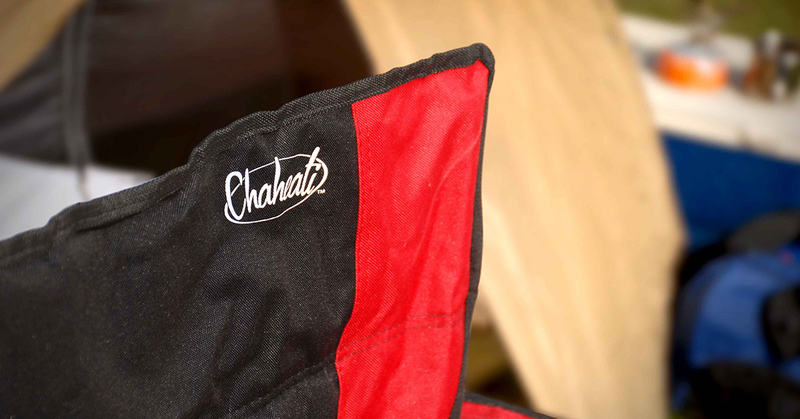 You can purchase the Chaheati All-Season Heated Chair direct from the factory. Whichever product best suits your outdoor needs, we can tell you from first-hand experience that you’ll wonder why no one ever thought of this before!